Advertising for BNY Mellon. 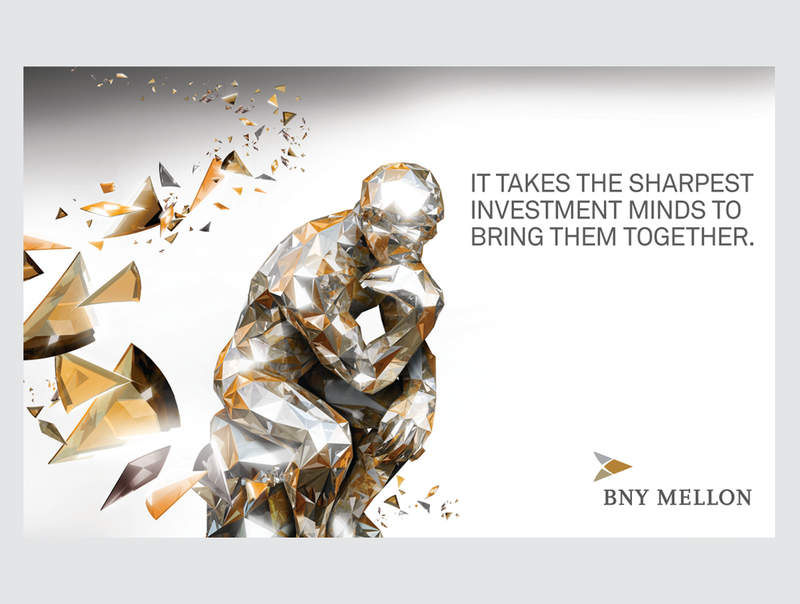 We looked into taking elements of their logo and used them as diamond building bricks, which gave us the flexibility to give BNY Mellon a distinct look and feel for both static 1 page and multi-page ads plus animated ads. 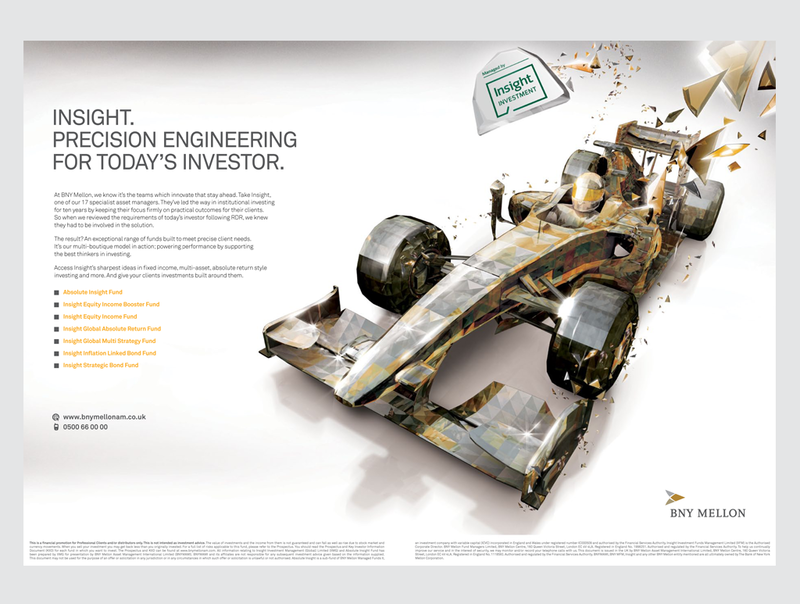 Each campaign has got its own stylized solution, instantly recognisable as coming from BNY Mellon.